Festival held on Janualy 15, which called koshogatsu 小正月. 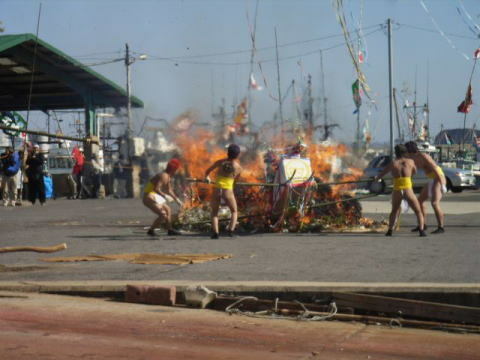 Sagicho is a fire festival to burn New Year decorations: kadomatsu, shimenawa, etc. We take them to burn at a nearby shrine. and seeing her off with fire going up into the sky by burning them. The fire also means to ward off evil at the beginning of the year. is said to bring good health.